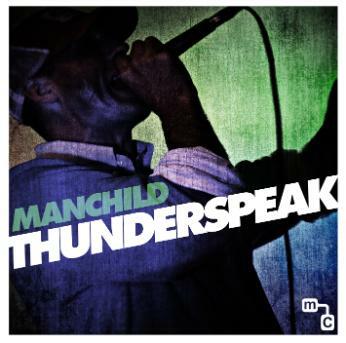 Manchild is an Atlanta Based Emcee. He's released numerous National releases as 1/2 of Mars ILL. He's also part of the Deepspace5 Collective. He continues to write, record and tour on his new music. Music is still alive and kicking here. While life happens and happens hard, I've continued to write and record. Move Merchants 2 released in 2016 with Sean P on the production. Available pretty much anywhere music is sold online. Today, re-committing to keeping you and yours updated as to what's going on with me and mine. Announced today that I'll be opening for Pharoahe Monch at the Bell's Eccentric Cafe in Kalamazoo, MI on November 6th !! Can't wait to see you there. NOW Taking pre-orders for Mars ILL MARTA Design Black T-Shirts. Pre-Order Cutoff is Friday, March 20th. We'll place the order with our printer on Monday, March 23rd. Don't miss your chance to get this classic T-Shirt Design. Go to www.marsill.bandcamp.com/merch or email Manchild directly at gregoryscottowens@gmail.com to place your order. Glad to say I'll be working with Elevation Church (elevationchurch.org) this weekend. I'll be making a special appearance at all Services on Saturday and Sunday. As of Recently, we're getting a lot better with regards to our Social Media Updates, etc. Please stay tuned by following me on Twitter. My handle is @manchildmega . Also Like the Manchild and Mars ILL pages on Facebook. Those are going to be your primary sources for news and general info. Also, as always, you can get the latest indy releases from myself and Mars ILL at www.manchild.bandcamp.com and www.marsill.bandcamp.com . The plan is to take those releases in the near future and make them available on ITunes, Spotify, Rhapsody, Amazon, Pandora, etc, etc. Stay tuned for that as well. MARS ILL -- We've looked at where we are (beginning) and can pretty much say that we'll be done with the album in the next 6 months. We'll decide on release method, Videos , Release Party Concerts, etc when that time comes. www.marsill.tumblr.com will be updated with more info as well. LIFE DON'T RHYME -- Blog Life. I'd really like to strengthen my readership on www.lifedontrhyme.com -- Check the site daily and weekly, as updates and new posts will be coming at a much more consistent level. I really want to make that site into something that's interactive, funny and entertaining. I think the brand has legs and that you guys are a strong contingent when you put your minds to supporting something. Thanks to everyone out there. You make this fun. Thanks for listening. Peace, party people. "Thunderspeak" is still doing amazing for me. Thanks for all of the support. If you haven't heard the album, visit my music section here or at www.manchild.bandcamp.com . I just got back from doing 3 shows in California. Incredible time. I'll be in New York in November again. Stay tuned for details. There will be more posted weekly as we move forward. God Bless. We’ve decided to make this one available. Grab your piece of Deepspace5 history in this classic EP by the Pride. Soul Heir the Manchild (Glad I shortened that name), Sintax and High Tech the Recon put this thing together with help on production by Jendor the Praying Mantis. I personally got pretty nostalgic listening to these songs the past couple of days. $5 for the Download, $10 for the CD (Includes Shipping). Thanks to Jason “High Tech” High for digging out the old DAT tape and pulling this together with me. Thanks to Joe “Sintax” Brewer for having raps that hold up over time and probably having the best head of hair in DS5. Thanks to Mikey Dooks at www.seraphimaesthetics.com for the Artwork and Layout. As always, he’s a lifesaver. Yes, we all know about Black Friday, but we wanted to get the jump on things this week. From now until midnight Friday, 11/25 all downloads at www.manchild.bandcamp.com and www.marsill.bandcamp.com are only $4 ! It's your shot to fill up your Ipod with the catalogue and not break the bank. Deepspace5 is for the children. the last 4 years Manchild and I have "Talked"
about doing another Mars ILL record. underwrite a Mars ILL LP. So its officially on. Mars ILL full length LP. pray for us as we move forward. 12/18 - Manchild Essentials launches today. Visit us at www.manchildessentials.com or simply click on the "Essentials" tab here for our latest and greatest clothing and gear. 11/24 - Just Announced Today: Manchild will be releasing an EP with Jaq of Scribbling Idiots on production entitled "You Don't Know Jaq" . The release date has been set for Tuesday, December 14th. CD's go on pre-sale this Friday, the 26th at www.manchild.bandcamp.com . Stay Tuned. 11/24 - Thanks to some of the best fans on the planet, the Mars ILL Fan Packs all sold out by Sunday Morning, the 21st. Thanks to all who showed interest and congratulations to the 4 lucky recipients. I recently unearthed my original rhyme notebooks that were the vessels used to pen our 4 Major releases. Click the above link. I've decided to create 4 special fan package. Only quantity 1 of each available. Great gift idea for the fan who has everything. Peace. 11/09 - This past weekend in the Midwest was a blast. Thanks to everyone who made it happen. Thanks to everyone who came out and supported. Hitting Grand Junction, Colorado this coming saturday, the 13th. Stay Tuned. 10/25 - The FINAL Manchild Insider Volume of music is up now and available for purchase at www.manchild.bandcamp.com . This 5th Volume consists of 13 songs and is available as a download or on CD. Been a long time coming. Thanks for your patience. 10/07 - My good friend, fellow DS5 member and long time partner in rhyme, Dust has just released an album with ultra-talented emcee, Sareem Poems. They go by PND (Poems n Dust) and the record is entitled "Dirty Words". You can find it at www.humblebeast.com . The song "Fly" features myself and Theory Hazit. Cop That! 10/07 - Manchild Insider, the Final Volume will be released sometime in the next week and available at www.manchild.bandcamp.com - All of the recording is done. There is one song left to be mixed, mastering happens just after that and the artwork is being completed. We're excited to finally close the book on the Insider material and offer it to you. Stay tuned. 08/15 - Manchild - I'll be at the Masquerade in Atlanta Tuesday night, the 17th to judge the Atlanta regional for the Red Bull EmSee Freestyle Competition. I was the 2009 Red Bull Champ for the whole deal and it's an honor to get to be a part of it again this year. If you're local, see you there. Should be fun. 08/06 - The New Move Merchants Video is now up and available for viewing. Thanks to Spirit Juice for the video. Look at our Videos page to view. 08/03 - Manchild is in the studio for the next three weeks finishing the final 10 songs to complete the Insider Catalogue. Writing and recording will be complete by the end of August. It will be available to the general public by the end of September. This is the yet unreleased 1998 album from Manchild and Sintax, along with High Tech the Recon on the Boards. Thanks for Listening. 07/23/2010 - Happy to Announce that all 4 of the Manchild Insider Volumes are available for purchase on CD at Bandcamp. 07/20/2010 - Just reminding party people here in Atlanta that I'll be playing at the City Takers event at Mount Paran this Saturday. Free Show. Don't Sleep. Check the shows.php page for more info. 07/18/2010 - Keep checking the shows section because there are quite a few on the books and more to come, including "Tour of the Future" shows with Deepspace5 crewmember, Playdough.